Buy your own individual fronds! Perfect for making your own arrangements. 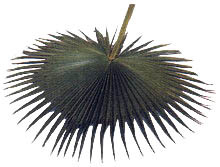 All fronds include internal fire retardancy approved by the California State Fire Marshal.